Choose from a variety of used cars for sale. Compare features and specifications. Looking for a "new" used truck for work or pleasure? Take a look at these trucks for sale and compare features and options. Save on fuel with these energy efficient cars for sale. Listing of cars that have been sold. Please see current listings for our cars for sale. 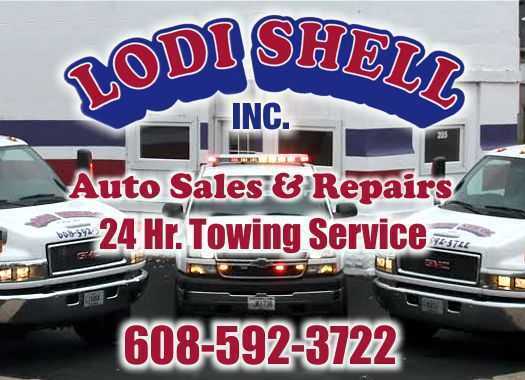 Towing and Emergency Roadside Assistance available 24/7 throughout the Lake Wisconsin area, Sauk County and ALL of Wisconsin. © 2016 - 2019 Lodi Shell Inc., All rights reserved.